Consuming grains creates a cycle of peaks and valleys in blood sugar which is unnatural compared to the old ways that humans ate. It is a perversion of human natural eating habits. It leads to weight gain and frequently high blood sugar, diabetes, and obesity. The human food intake system and regulatory behavior was established at least 40,000 years prior to the start of grain cultivation. Humans, like any living creature, eat to acquire nutrients needed for various metabolic activities in the body. Although the human body uses over 100 different nutrients, we have only one sensation, hunger, to notify us to acquire them in a timely fashion. Each episode of hunger is based on a different set of needed nutrients. The brain guides us to obtain nutrients we need in the moment by creating a desire or craving to eat certain foods. Take a look at this short video on how to reduce your grain consumption. Insulin, a hormone released in response to elevation of blood sugar, also rises. This steep rise in insulin is the link between high blood sugar and grains. 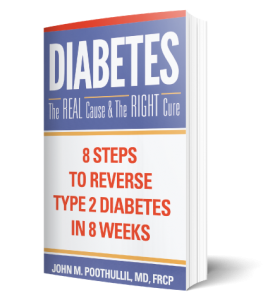 When insulin rises sharply, there is an intense and rapid response from insulin-sensitive cells in the body – especially muscle cells – to absorb the glucose. This then leads to a steep decline in blood sugar. Within 2 to 3 hours after a meal, your blood glucose levels actually fall below fasting levels for a time. While they had made you full, they drove up your insulin so high that your blood glucose level eventually crashes too low. In short, the traditional human eating behavior that would have been based more on the need for nutrients as detected by monitoring stations in the body has been usurped. 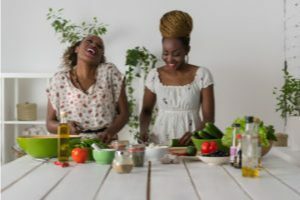 Instead, food intake becomes driven by the need to restore a blood glucose level that was excessively lowered by elevated levels of insulin, induced by the elevated level of glucose coming from grains.